When it comes to vintage fashion, the two things that attract me the most are the jewelry and the jackets. I love these kind of tweed Chanel-inspired jackets. These jackets are timeless statement makers. Every fall I see new designs come out, but I personally think the vintage ones are the best ones. 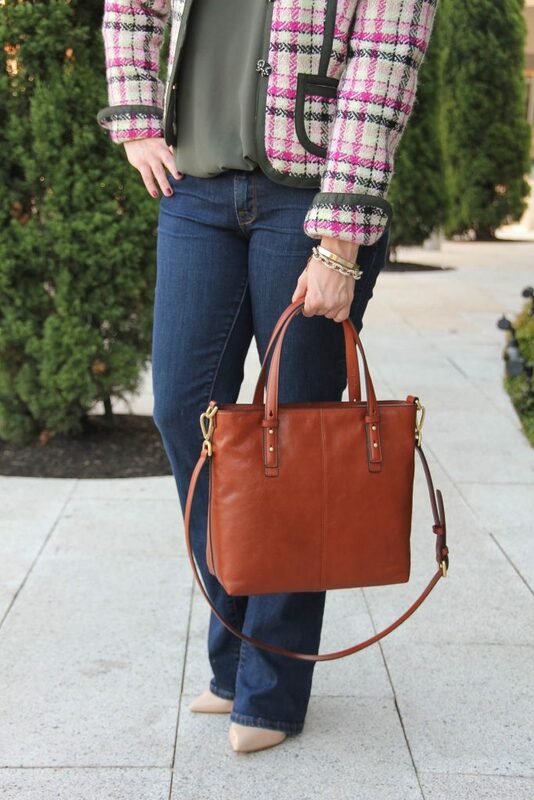 This style is a perfect classic fall jacket that can work in a wide array of outfits. 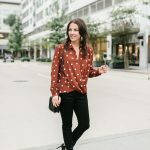 I love styling them with jeans to create dressy casual outfits, but you can make them work for the office too. I love to play with all the colors in the jacket to make sure each ones shines. The dark pink was to me the more dominant eye catching color of this jacket. I wanted my other choices for this outfit to help bring out those other colors. I opted for an olive top underneath to really bring out the olive piping details and green buttons on this jacket. 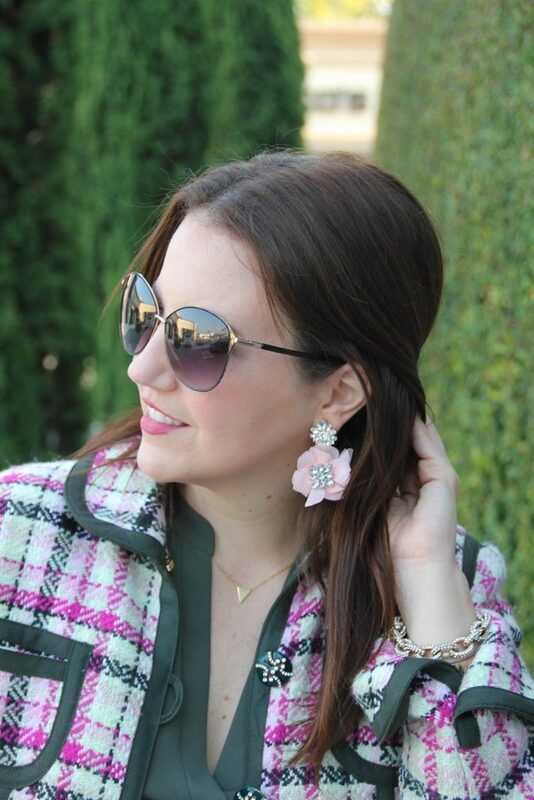 These vintage inspired floral earrings were the perfect compliment to draw out the lighter pink in the plaid pattern. I added a few modern touches with some flared jeans and a pointy toe heel. This jacket would also look cute with skinny jeans and the tunic untucked. I love this jacket style over fitted shift dresses or pencil skirt ensembles for the office too. You could even dress down the outfit a little like I did HERE. 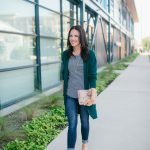 What a fun jacket for fall! I love the colors and how you made the olive really pop with the olive top. 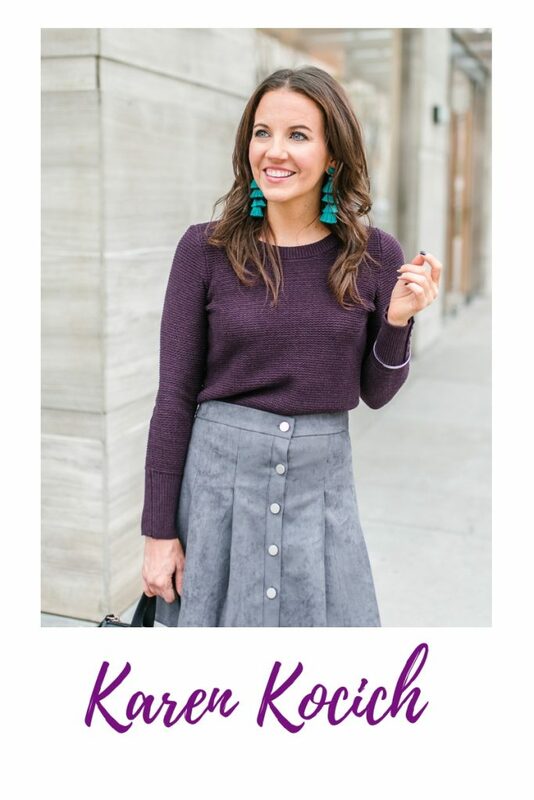 Wearing cardigans and jackets is one of my favorite things about fall! 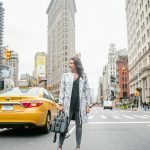 Wow…I absolutely love that jacket—it really adds so much pizzazz to the outfit! Beyond Adorable! Thanks so much for all your posts! Super cute jacket! I wish it was getting even remotely cold so I could think about buying warmer clothes!